We can Design & Fabricate various engineering items conforming to various Indian & International Codes & Standards, in Carbon Steel Fabrication, Stainless Steel Fabrication,etc. 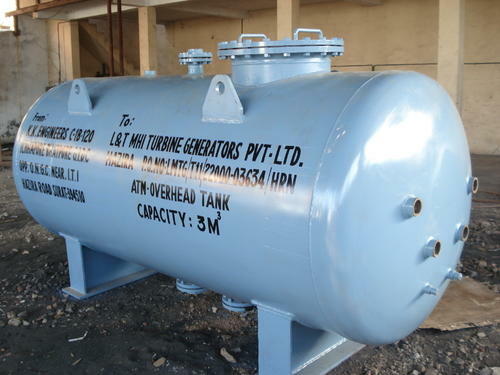 Vacuum Tanks offered are made available by us in given specifications and drawings and can be made available in different sizes, design and model options. Finding application in several mechanical and automobile industries, these support maintaining desirable pressure & consistency in mechanical chambers/for hydraulic automated systems. Here, our expertise lies in making these available in different sizes, designs and model options. 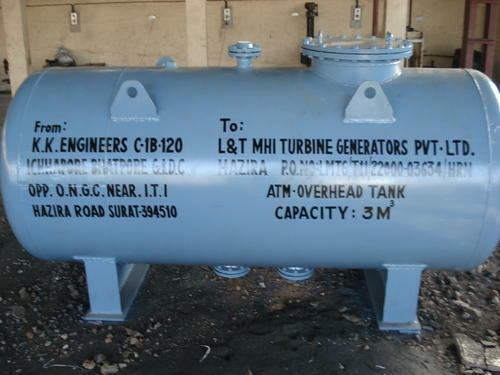 Oil Tanks offered can be made available by us in exact fabrication support as per the given specifications and drawings. These can be made available in different sizes, design and model options and provide working as storage reservoirs for oil/fuel. Being precision developed in quality mild steel for durable performance, these also come with welded joints that are tested for leak proof finish through water pressure test.